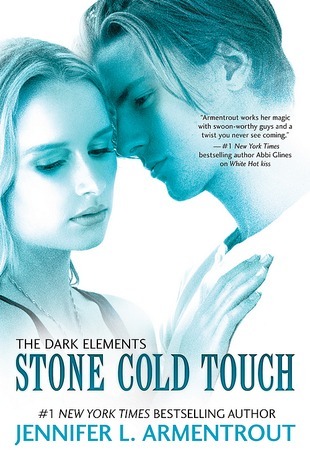 I finished reading Stone Cold Touch (The Dark Elements #2) by Jennifer L. Armentrout on Tuesday for an Around the World ARC Tour. I was so glad I had this book to read right after I finished White Hot Kiss. Only problem...I want the next book in my greedy little hands like yesterday! Once again the love triangle between Zayne, Roth and Layla was hot hot hot! I do think it was a liiiittle too played out but I still enjoyed it anyway! I think in this book, my heart would have slightly edged to Zayne. Only slightly though. This book just further proved that the Dark Elements series is one of my favorite series ever!